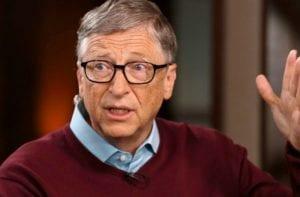 Bill Gates tells the truth about the eradication of poverty...and the left hates it. During the heyday of Windows in the 1990s, Bill Gates was vilified as an evil capitalist. Then he started the Bill and Melinda Gates Foundation aimed at helping the poor and making a better world, and slowly his name was transformed on the left into something akin to a decent human being. However, he recently tweeted a highly controversial fact: Extreme poverty is rapidly being eradicated. His tweet shows an infographic by Our World in Data with the development of key factors, such as education, child mortality, and extreme poverty in the last 200 years. He has the audacity to celebrate when poverty is overcome. Apparently, Gates isn’t just virtue signaling to the cultural elites. He truly seems to care about the poor, and is genuinely happy when poverty is alleviated. Also, he isn’t afraid to give credit where credit is due. Predictably, leftists were triggered by Gates’ tweet. Why? The data reveals the lifesaving, wealth-creating ability of capitalism. It wasn’t socialism that eradicated poverty worldwide; it was free trade and free markets – and they did so in record time. Obviously, such “hate facts” cannot be allowed to stand uncontested by the empathy exploitation industry folk, who thrive on ignorance and misconceptions. Anthropologist Dr. Jason Hickel took the bait and came out with an article in The Guardian, titled “Bill Gates says poverty is decreasing. He couldn’t be more wrong.” Rather than showing an unprecedented rise in global wealth, he claims the infographic shows “the story of coerced global proletarianization.” That’s Marxist speak for people needing to work for a living. His next line of attack is to claim that the extreme poverty line of $1.90 per day per person is too low. No-one can survive on that, he claims. That’s spoken like someone who hasn’t ever been outside his local Starbucks. In Vietnam, for instance, that can buy around six pounds of rice. That may not be the most exciting diet in the world, but you won’t starve. Hundreds of millions of people across the globe, especially in Asia, have rice as their primary source of nutrition. Most grow their own food and have additional income from selling the surplus on the market. How do we know that people can survive on this? We’re living longer. In the poorest continent on the planet, Africa, the life expectancy has skyrocketed. It’s currently around 60 and still rapidly rising. That’s longer than Europeans lived in the 1930s. 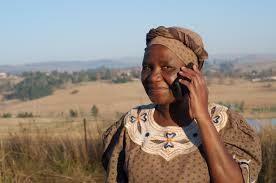 Indeed, there are now more mobile phones than there are adults in most African countries. Although Hickel only demonstrates the dire state of modern academia, he does make one salient point: If we remove China from the statistics, the rest of the third world is not doing as well as it should. The reason, however, escapes him. It is another “hate fact”: The poorer a country is, the less capitalist it tends to be. Consider Venezuela as a chilling example. In case you wondered: Hate facts are facts that the left hates.